 Since 2001, the Land Trust has been hard at work preserving ribbons of green throughout urban Augusta and its suburbs. Thousands of acres of these urban wild places — cypress forests, lush wetlands, and verdant fields — have now been permanently protected. 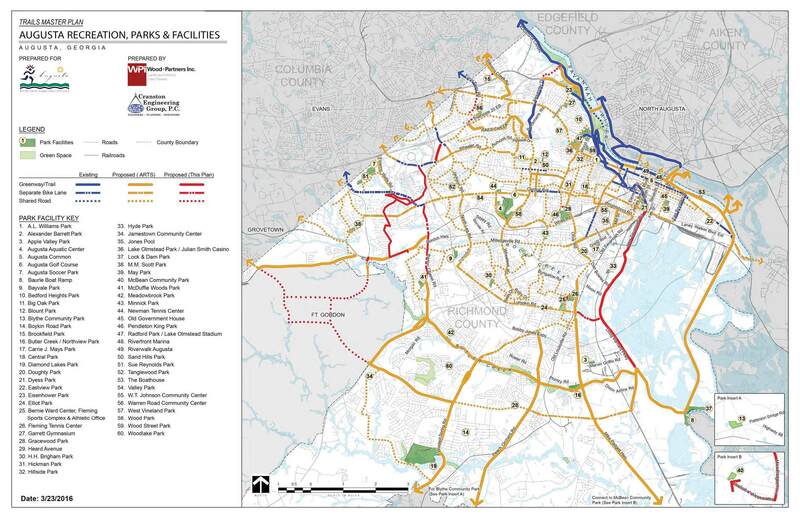 And piece by piece, they are being linked together like pearls on a necklace into a massive network of public bike and pedestrian trails. 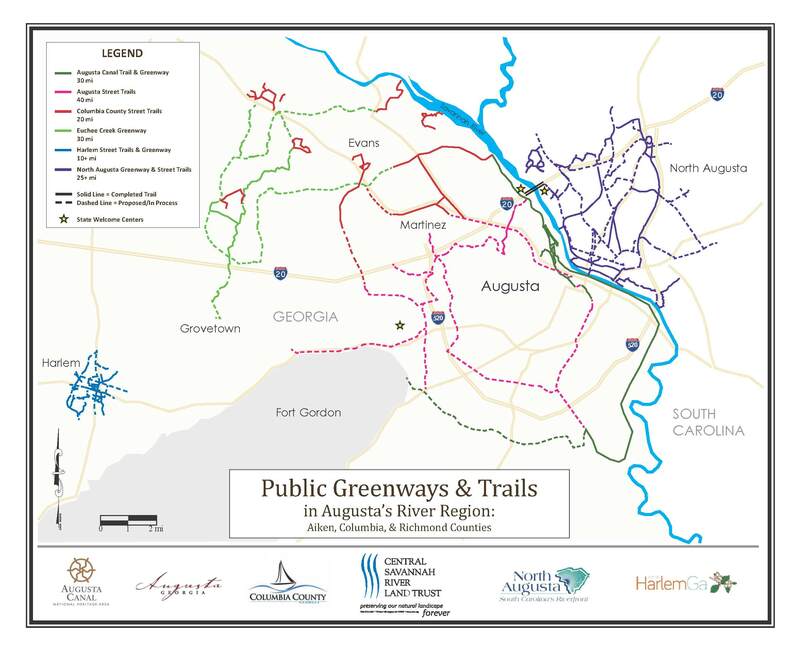 The goal of this Savannah River Greenway, is to connect Aiken, Columbia, and Richmond Counties with over 150 miles of pathways, both as a means of alternative transportation between home, work, school, and leisure, and for the benefit of public health and outdoor recreation. The vast majority of the land and rights of way for this project have now been acquired, and the conceptual design and feasibility studies have been completed. 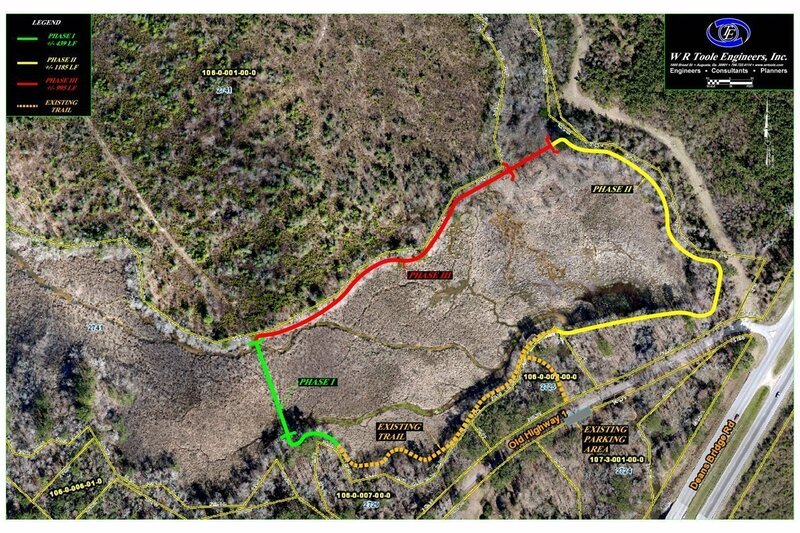 The formal design process for the individual trail connections is now beginning in earnest. 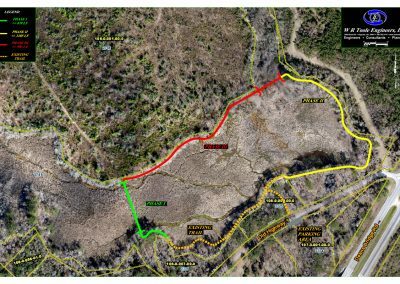 This coming year, the Land Trust will place a heavy emphasis on the connection(s) between Downtown Augusta and the Airport, as well as completing Phase I of the Lombard Mill Pond trail in South Augusta. 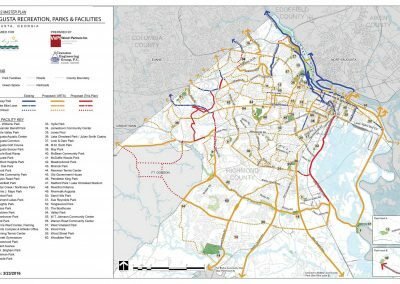 When completed, the Savannah River Greenway will link major areas of the metro area with a main smooth-surface trail suitable for bicycles and pedestrians, off of which will be countless secondary trails and side paths touching neighborhoods throughout the region. In addition to the benefits to the local community, the completed Greenway will also add significant eco-tourism value to the Garden City. 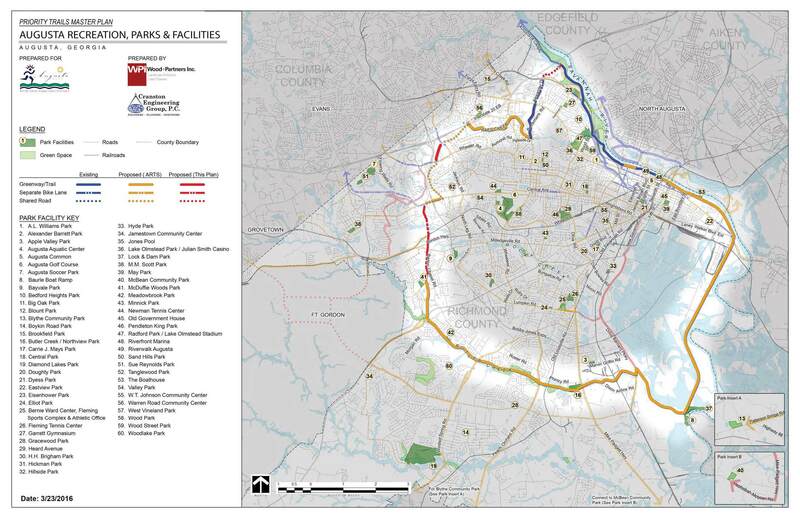 PLEASE NOTE: This long-range trail system is a work in progress. Click here to subscribe to our newsletter for all the updates. The Georgia Greenspace Program is an innovative partnership between local government and conservation groups like the Land Trust. 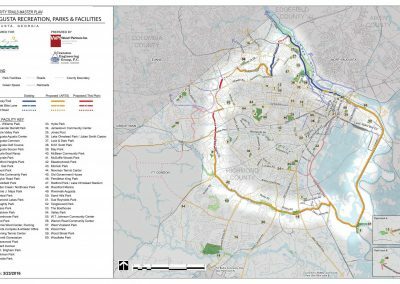 The goal is to preserve 20% of the remaining wild land in urban areas like Augusta-Richmond County forever. 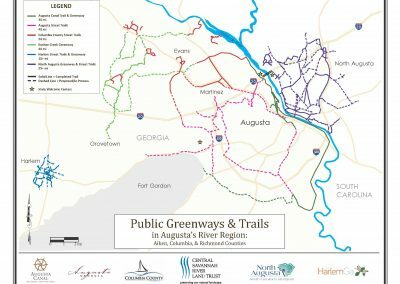 So far, the Land Trust and our partners have preserved thousands of acres of land in Columbia, Richmond, and Aiken Counties including popular destinations such as the Augusta Canal Heritage Area. Once preserved, these areas can never be developed, and are guaranteed to remain healthy, green, and natural forever. Each day we’re working to save the best and most special landscapes right here at home, so that future generations may have the same (if not better!) opportunities to connect with the great outdoors that we enjoy today.